In 15th-century Florence, if you wanted an elegant uncomplicated altarpiece, you might well have called on Neri di Bicci (1419–1491). 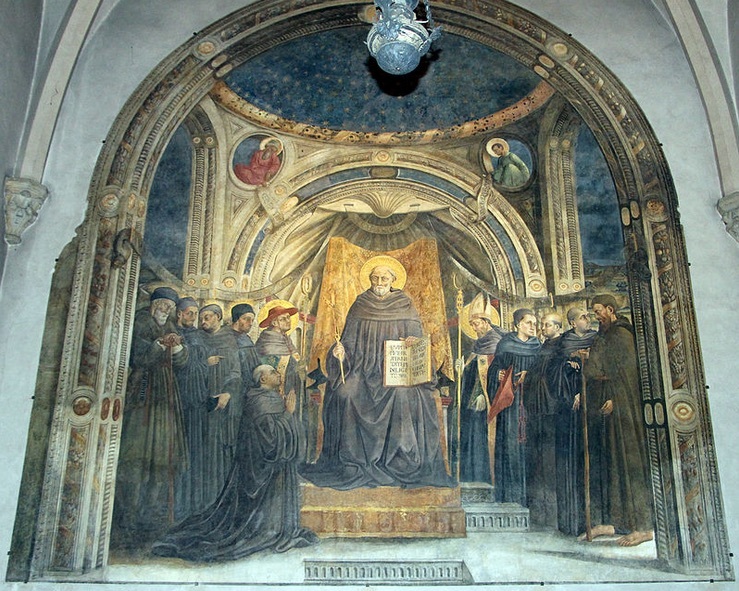 The last of the string of painterly Biccis (son of Bicci di Lorenzo, grandson of Lorenzo di Bicci, he trained with his father and after his death took over his commission to fresco the Spini chapel in Santa Trínita, of which only Neri's masterpiece, San Giovanni Gualberto Enthroned survives. Neri's other paintings in Florence are in San Miniato, Santa Margherita de’ Cerchi, Galleria dell’Accademia, San Giovannino dei Cavalieri, San Salvatore al Monte, the Museo Bandini in Fiesole and in San Martino a Mensola in Ponte a Mensola. Other works are around Volterra. Neri's Ricordanze, a journal of his life (now kept in the Uffizi), is an important source of information on the life and times of a quattrocento artist, on the role of apprentices (one of Neri's was Cosimo Rosselli) and offer a clue on how much work all the artists did for pageants, painting banners and curtains and so on, that have nearly all been lost.